Apply to join the team in Oakland! Indique is hiring nationwide! Click here for a full list of available positions. Join Indique Hair at Your Wedding Experience ATLANTA presented by David Tutera! It's that time again! The Billboard Music Awards (BBMA) is back to honor this year's hottest music artist. But, before we get into the looks to come for this year, we want to do a quick recap of our favorite hair looks from last year's show. Hosted by Ludacris and Chrissy Teigen, the BBMA will be held in the MGM Grand Garden Arena located in Las Vegas. There will be performances from Kanye West, Nicki Minaj, Hozier, Wiz Khalifa, Fall Out Boy and more. The 2015 BBMA will be air on Sunday, May 17th at 8:00 EST. 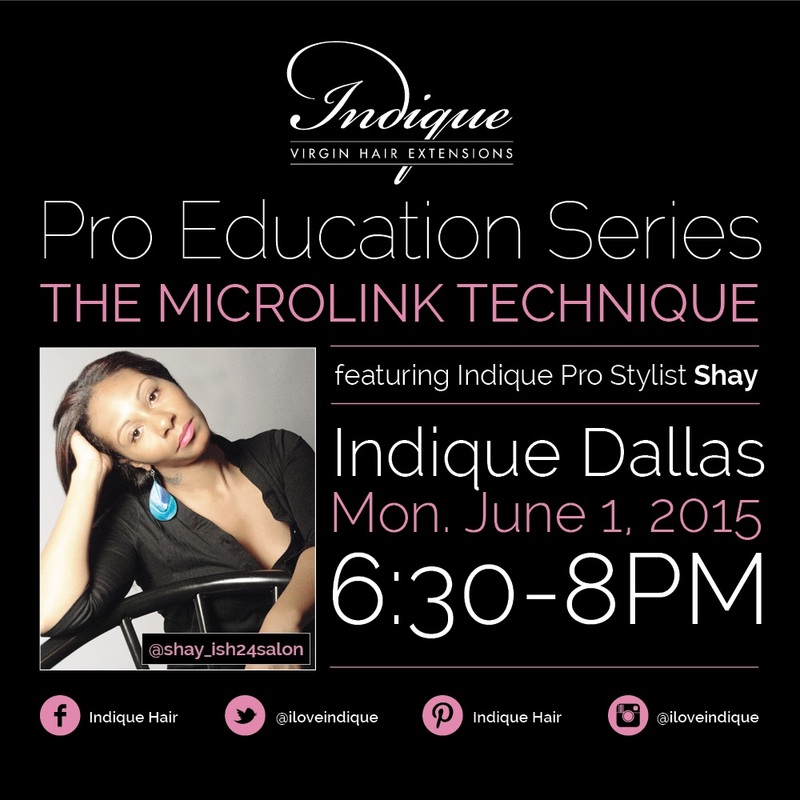 Join us at Indique Dallas with Indique Pro Stylist Shay where she will demonstrate the microlink technique using Indique Hair! It's says before Mother's Day and you're still trying to find the perfect gift? Don't fret we have just the thing. We've compiled a list of gifts that your mom is sure to love. And, do you you want to know what the best part is? These are all things that you can pick up in time for Mother's Day brunch! 1. Spa Gift Certificate: What better way is there to say "thank you, Mom" than a relaxing massage or facial? Surprise her with a Massage Envy electronic gift card. 2. Voluspa Candles: If she isn't one for physical therapy, try some aromatherapy. Voluspa candles come in a variety of fragrances and their gorgeous packaging makes them the perfect decorative piece. 3. The Tory Burch for Fitbit leather wrap bracelet will ensure that Mom is working out in style! 4. These Kate Spade Studs are super cute and they come in a variety of colors. There's also an added bonus. If you purchase $75 worth at Nordstrom, you get a chich gift with your purchase. That's two gifts in one! 5. Indique Hair: Not only should your mom feel good on Mother's Day, she should look good too! In celebration of Mother's Day, we're having a SALE on all of your favorite INDIQUE Collections! From Wednesday, May 6, 2015 to Saturday, May 9 2015, receive 15% off your purchase*!